Fumase is an Asset Management & Asset Development company based out of California, USA focused on Renewable Energy, Water & Waste sectors; and geographic focus on South Asia & South East Asia. Fumase's aim is to address the world's most pressing challenges in a financially, socially and environmentally sustainable manner. 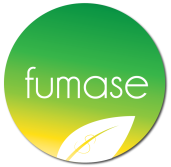 Fumase takes on a very holistic approach for each project to benefit the local community, including transforming the world's most pressing waste problems into valuable resources.